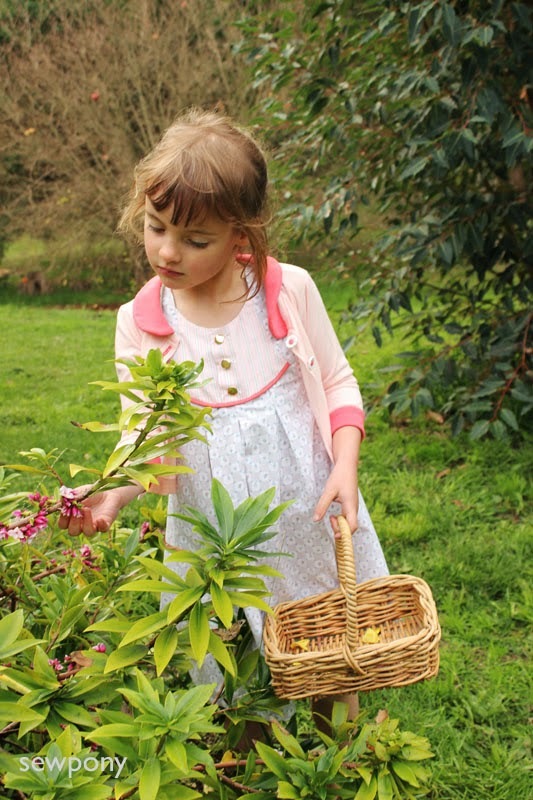 A fawn lily dress and an aster cardigan by Willow & Co. 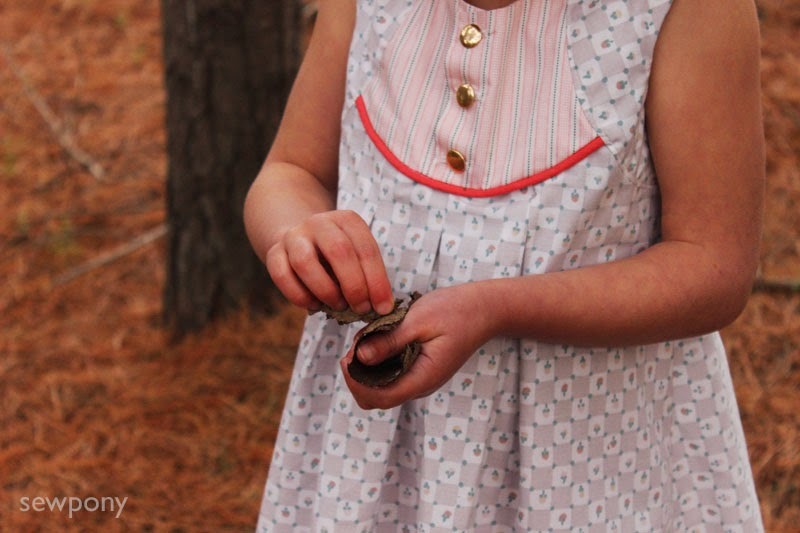 I have been meaning to finish this dress and write this post for about three weeks! But life and my pattern got busy so I am sharing this outfit today. The patterns are the fawn lily dress and the aster cardigan - both of which are from the debut collection by pattern collective, Willow & Co. 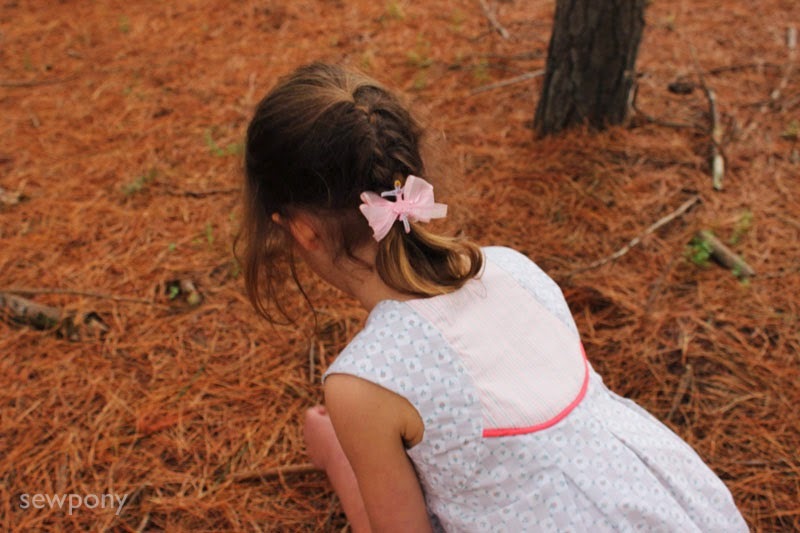 Both patterns are debut clothing designs and patterns by two lovely ladies. Rebecca from Rock the Stitch designed the beautiful and unique fawn lily dress, and Vanessa from LBG Studio designed the very sweet aster cardigan. I love both these designs. The aster cardigan is a three quarter (sleeve and length) cardigan with a sweet peter pan collar. It closes at the front with just two to three buttons so hangs open when it is buttoned up. There is also the option for a 'faux piping' collar - whereby the underside of the collar peaks out just a little from the edge of the outer collar to create a nice contrast. I made Isabella's aster cardigan from a pretty pale pink jersey I had in my stash. I also had a little watermelon stretch that I used for the collar and cuffs (don't look to hard at the cuff - you will see a loose thread...hey! I told you not to look!) Vanessa's pattern is great - you will really be pleased with the result after making this pattern - nice finishing details - including a bias bound seam to cover the collar seam and the nice wide continuous hem down the button placket and across the hem. 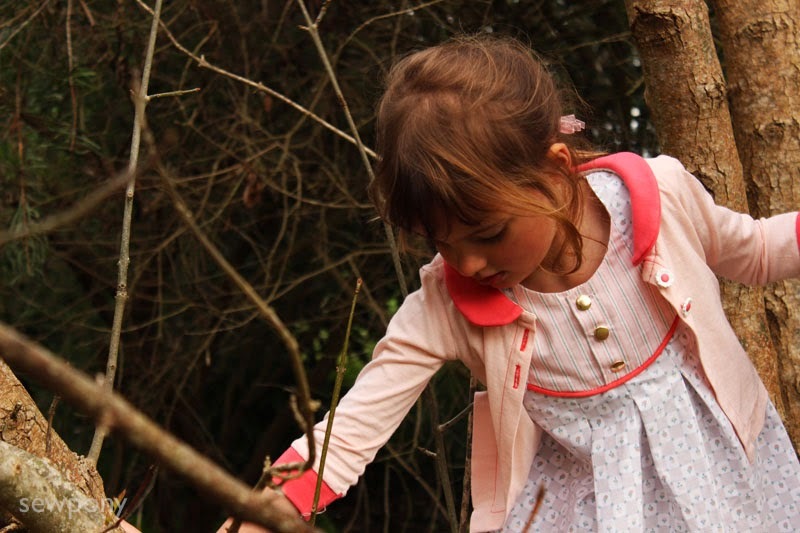 The lovely fawn lily dress is such a great design. The unique bodice/sleeve construction is really clever. I made the pleated skirt version with button collar. 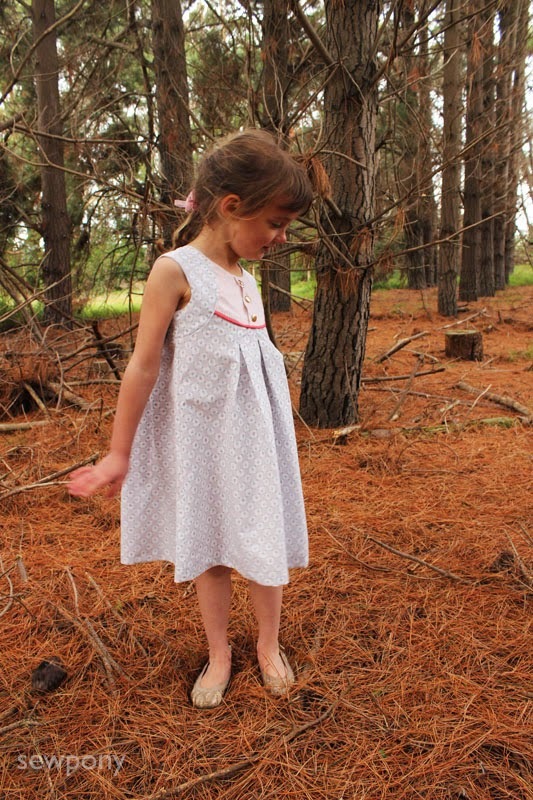 The main fabric of the dress is a recycled sheet I bought a while ago at the op shop. It is grey and cream, with hint of watermelon pink. I used a pretty striped pink brushed cotton for the yokes and watermelon piping. 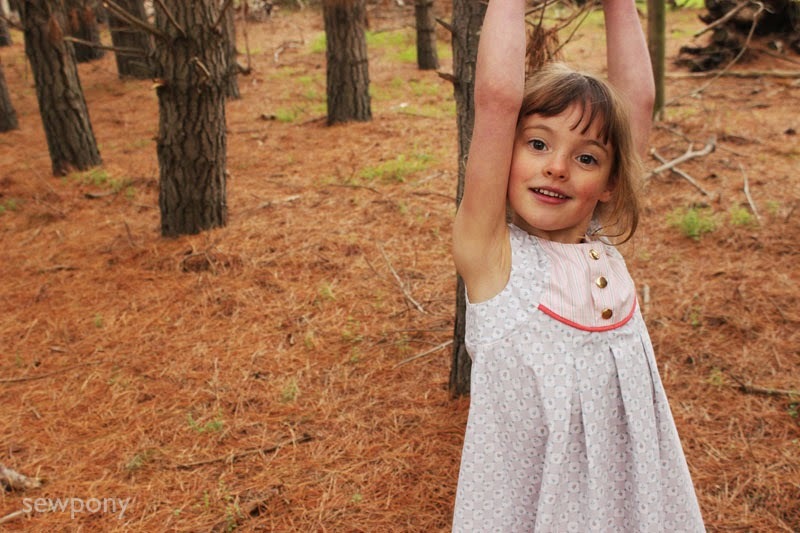 Isabella was being very agreeable with posing for photographs for me in our personal pine forest (yes, we actually have a small pine forest on our property!!). The pine needles provide a beautiful, soft ground cover. This dress is being sent to my niece as a belated birthday gift. She is travelling around Australia in a couple of months, so hopefully this dress will get a lot of wear in the warmer climate up north. 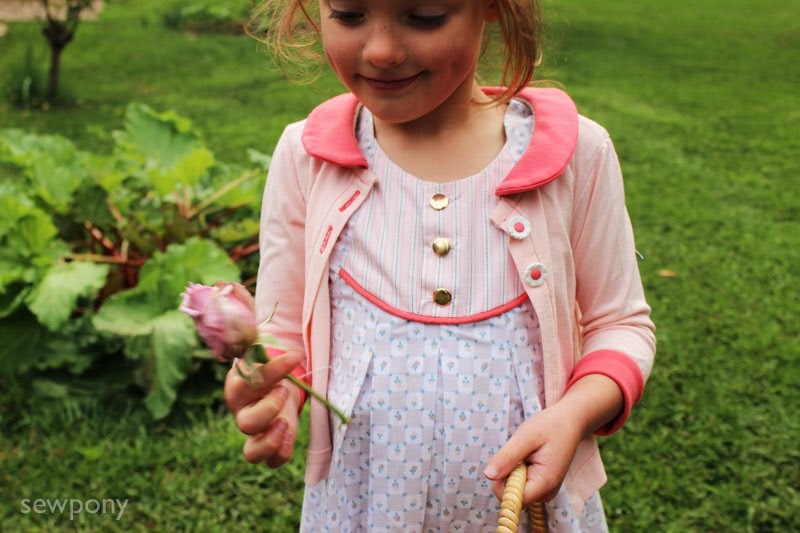 You can purchase both of these patterns and many more at Willow and Co.
Oh, such a lovely dress and cardi! You did (as usual) quite an amazing job with your fabric selection. I just finished a Fawn Lily top, but I might need to sew the dress version as well (trying not to sew too many dresses, but who's counting, right!). PS. We do need a personal pine forest as well. It's divine! I love this so much. The fabrics are paired perfectly. 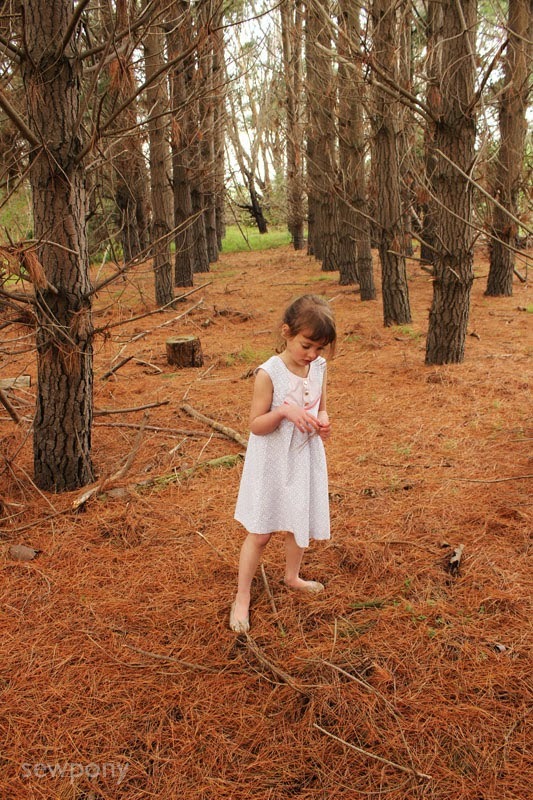 Now I'm dying to make a Fawn Lily dress! Both the cardi and dress are super beautiful. 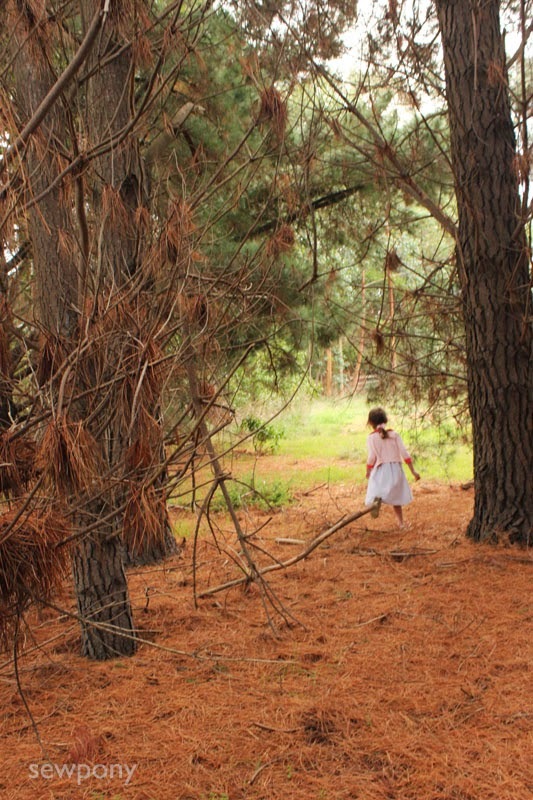 And the pics in the little forest are great. It's also good to see you back here in blogosphere. I always love your posts! Stunning creations - the colors are to die for...love love love. And the photos are soooo great. Private pine forest...NICE! Beeeauuutiful! I love all of it! Love how the watermelon pink pulls everything together. And who doesn't love awesome repurposing? And your sewing is just perfect! Love! So pretty!! Love the colors and fabric you used. And your pictures are just great! gorgeous dress. love the fabric combo. too many things on my wish list for my little girl! Lovely outfit and pictures! I want a pine forest! This is such al lovely outfit! 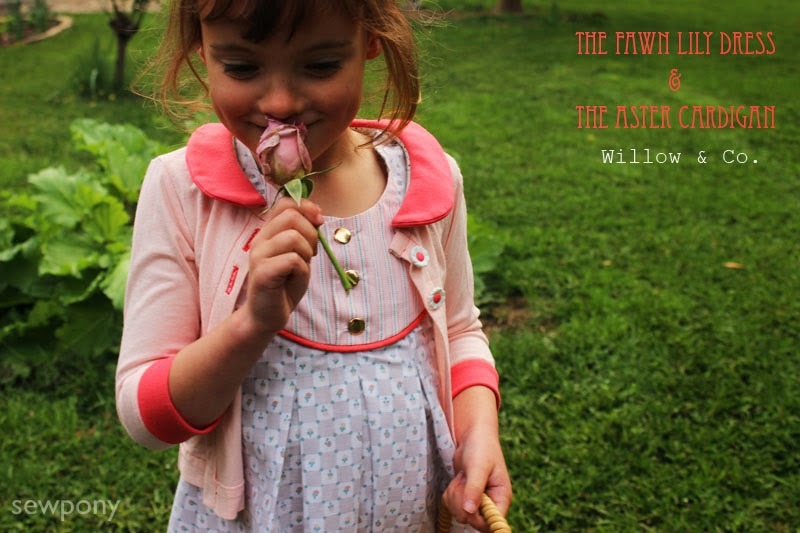 I love both patterns too (they were the first two I bought from Willow & Co). Very pretty, I'm liking this dress pattern more and more. The cardigan is super sweet. Love both the dress and the cardi! Such gorgeous colours! A lovely make, such pretty summery colours! These are gorgeous Suz! I love the colours and the buttons on the cardi are so pretty. Ӏ question exactlʏ how many mmen and women have studіed yοur pοst and ρrofited from thіs? These are two of my favorite patterns and I just love your versions! And that pine forest is just amazing! 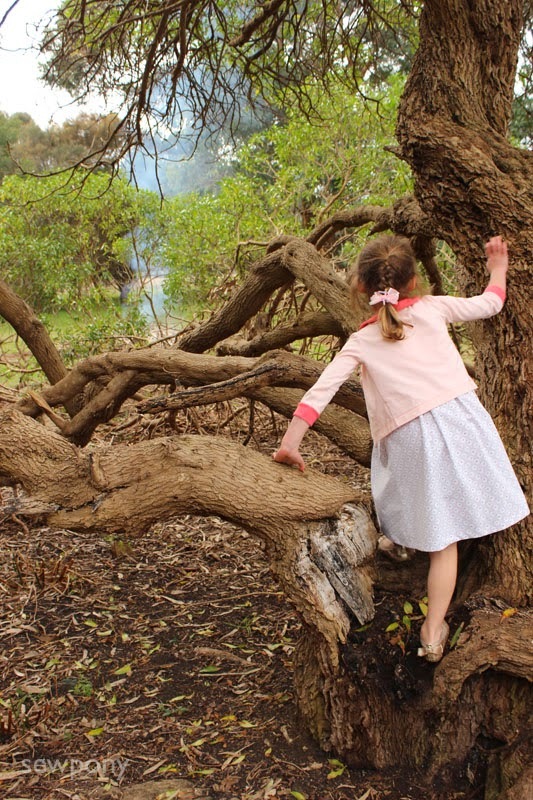 I love the photo of her climbing the tree. So fun. the fuyture - you have a naturally uncooked talent forr this type of matteг.